At times it was a scrap, and some might say it was scrappy. The 100th edition of the Merseyside derby was epitomised by a goal scored in time added on to added on time which sent Anfield wild in celebration and left Everton fans demoralised in defeat. A mistimed launch of a blue smoke bomb from the Everton fans as they celebrated a draw, meant a blue background accompanied the spontaneous celebration in the middle of the pitch involving Liverpool manager Jurgen Klopp and his goalkeeper Alisson, who played a part in the winner. Everton will take solace from the fact that at times their side looked like they could beat Liverpool, which hasn’t happened at Anfield since 1999, and the performance of Andre Gomes in midfield was typically classy and drew plenty of plaudits. But on the other side a midfielder was putting in a true derby performance, helping make sure Merseyside remained red once the smoke had cleared. 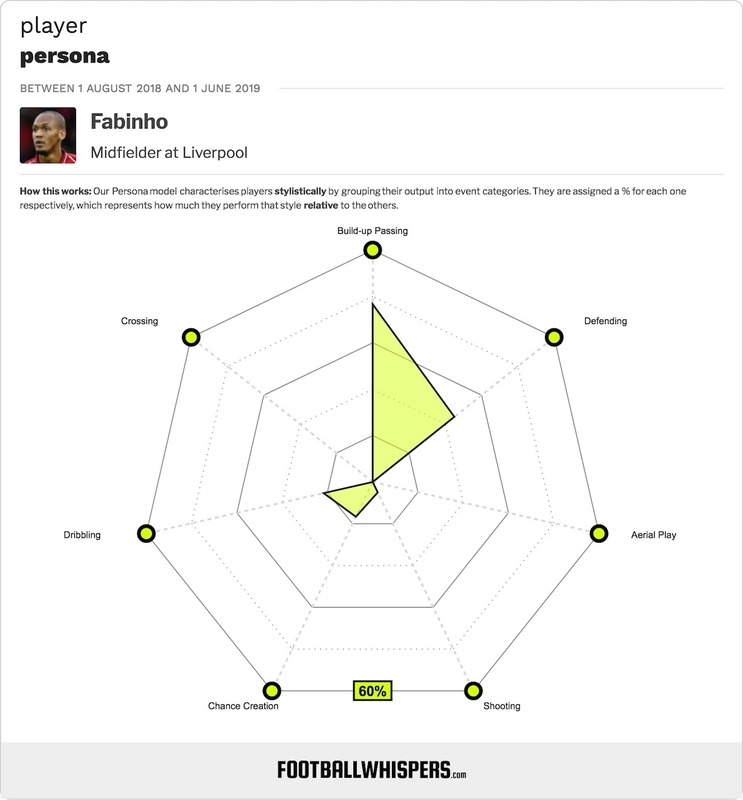 Our friends from Football Whispers took a look at the display of Liverpool’s Brazilian midfielder Fabinho, who looked like the answer to many of the club’s problems in this area. Tackles in a derby tend to mean more than they do in regular matches, and no player made more than Fabinho’s six. This will be part of the reason he endeared himself further to the fans during this game, but he was also effective as well as aesthetically pleasing in his own way. The Brazilian is a battler, but also one whose passing is progressive and well considered. xGBuildup measures the contributions of a player to his side’s chance of scoring a goal, taking into account the importance of passes and where the team ends up on the back of them. It’s a useful tool for measuring the effectiveness of deep lying midfielders who might not trouble the data gatherers with things like assists, shots, and key passes. Fabinho led the Liverpool team in this regard, with an xGBuildup score of 0.74. His most obvious attacking contribution was his shot which led to a hand-ball appeal in the latter stages of the game, but his passing from deep was the most important part of his game. He made more passes than any other midfielder, including Gomes, with 58, and also covered more ground than any of his team-mates, running 11.44 kilometres during the 96 minutes he was on the pitch. There was an obligatory derby booking and two fouls committed, but rather than be damaging and leading to free-kicks in dangerous areas, these fouls were committed in the middle of the pitch and allowed his team to regroup in chaotic moments. This type of play from Fabinho shows why Liverpool signed him, and perhaps also begs the question of why hasn’t he been used by Klopp earlier, and more often. However, the German likes his new signings to acclimatise before throwing them in, as is also evident with Naby Keita, who had to use Simon Mignolet as his translator while Liverpool assistant coach Peter Krawietz issued instructions before he replaced Xherdan Shaqiri yesterday. Language can be a problem, but as the stock Football Manager media reply goes, ‘football is a universal language’. You get the impression that were it not for the poor performances of captain Jordan Henderson, Fabinho may still be in the adaptation stage, but as it stands, he looks like the club’s best option in this position for most games, and they have missed him during defeats on their travels in Europe. He is the first proper defensive midfielder the club have had since the departure of the likes of Lucas Leiva and Javier Mascherano, and he combines the qualities of both by being able to battle on the ground, pick the right pass, and also win aerial duels if required. At the very least he gives Klopp a different option tactically, but it’s one you might have expected him to use in games such as Red Star and PSG away, and Watford away but Fabinho wasn’t in the first XI for any of those games. At the most he is their lynchpin in midfield for years to come as they look to win their first trophy under the former Borussia Dortmund manager. A league title with Monaco means he is one of the few players in the Liverpool squad with a league win already under his belt, and this experience may be useful. 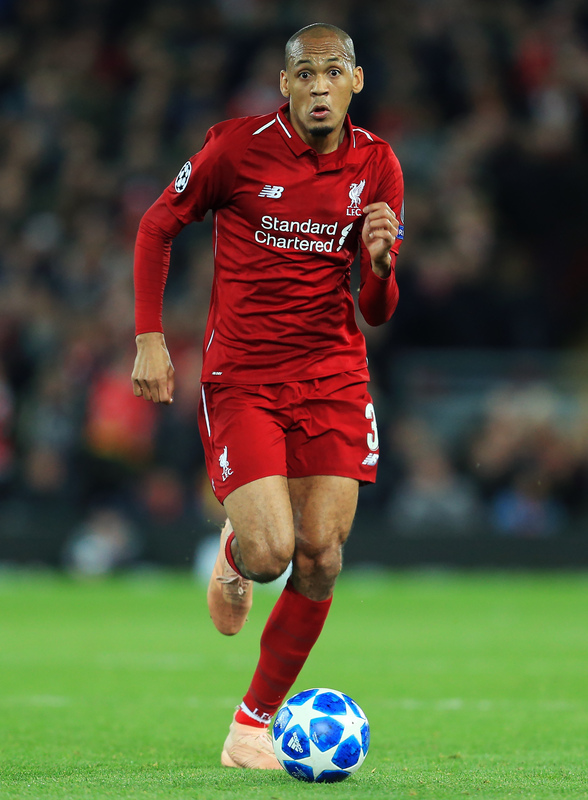 We’re entering the busiest period of the season, and Klopp’s selections may be dictated more by fitness than tactical suitability, and with only 576 minutes played so far this season Fabinho should be raring to go.